LONDON – Monsanto’s weedkiller Roundup, which is widely used in the Caribbean and around the world, is back in the news. This time the controversy surrounds glyphosate, the active ingredient in Roundup and other herbicides, which can cause non-alcoholic fatty liver disease in rats at very low, real-world doses, according to a new peer-reviewed study. The researchers found evidence that consumption of low doses of glyphosate over time can cause cell damage, serious fatty liver disease and areas of dead tissue or necrosis in the liver. For the study, the scientists used cutting-edge molecular profiling methods to examine the livers of female rats who were fed an extremely low dose of Roundup over a two-year period. The rats were given only 4 nanograms per kilogram of body weight per day, which is 75,000 times below EU and 437,500 below US permitted levels—basically thousands of times below the amount allowed by regulators around the world. “The concentration of glyphosate that was added to the drinking water of the rats corresponds to a concentration found in tap water for human consumption,” King’s research associate Dr Robin Mesnage told the Daily Mail. “It is also lower than the contamination of some foodstuffs,” Mesnage added. The researchers concluded that the results of the study “imply that chronic consumption of extremely low levels of a GBH formulation (Roundup), at admissible glyphosate-equivalent concentrations, are associated with marked alterations of the liver proteome and metabolome. Dr Antoniou noted that the results suggested that regulators should reconsider the safety evaluation of glyphosate-based herbicides. According to the American Liver Association, non-alcoholic fatty liver disease may cause the liver to swell and cause cirrhosis over time and may even lead to liver cancer or liver failure. People who are overweight, obese, or have diabetes, high cholesterol and high triglycerides are at risk of developing the condition although rapid weight loss and poor eating habits may also lead to the disease. Glyphosate is the most widely used weedkiller in the world. 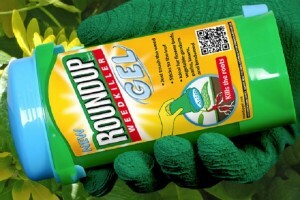 It is used on Monsanto’s line of “Roundup Ready” crops such as soy, corn, canola, alfalfa and cotton that are genetically altered to withstand direct applications of the herbicide, as the product kills only the weeds. The chemical can now be detected in common food items from breakfast cereals to wine and even childhood vaccines. In March 2015, the World Health Organization’s International Agency for Research on Cancer (IARC) concluded that glyphosate is a “probable human carcinogen,” touching off an international row on the health and safety of the widely applied herbicide. The Health and Environment Alliance, a European non-profit which addresses how the environment affects health in the European Union, has also urged a ban on glyphosate in response to the study. “Glyphosate is already classified by IARC as a ‘probable carcinogen’ … It is also described as a ‘potential endocrine disrupting chemical.’ This new study adds to evidence about the likely harm to human health from Roundup and other glyphosate based herbicides,” said Génon K. Jensen, the alliance’s executive director. “Given people’s unavoidable exposures from the massive increase in the use of these weed killers over the past 30 years, surely it is time to ban it on precautionary grounds?” he urged.